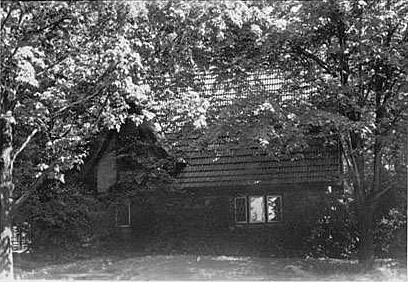 Upon his return to Hudson in the early 1900’s, James began improvements on what was then a quaint and cozy farmhouse located about 1.5 miles northeast of the town green. He eventually built the house and surrounding property into one of the most beautiful and spacious homes in the nation. I’ve heard from several local historians that ‘Evamere Estate’ – as it was dubbed by James in honor of his first wife, Eva – posted somewhere in the top 10 largest homes in the US when razed in 1951. The Estate is marked with a black circle on the above map. 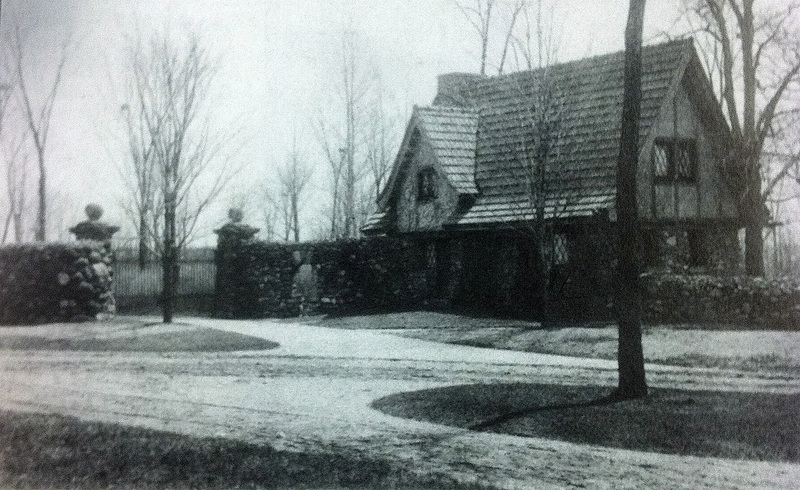 Western Reserve Academy sold the land to the town after the razing, and it was then used to foster Hudson’s public school system. 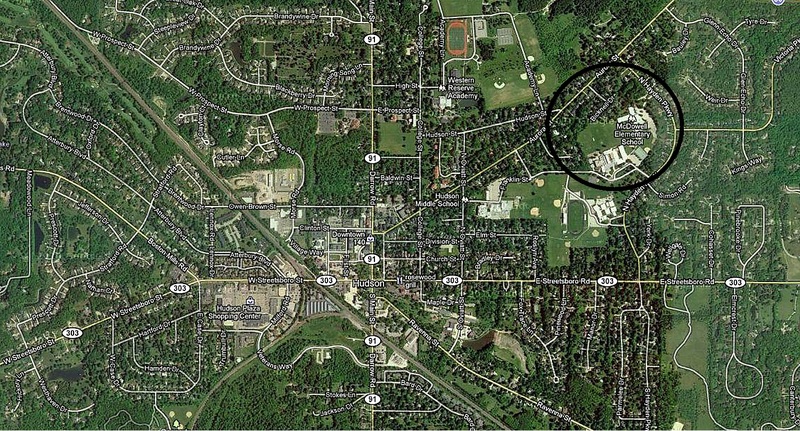 The land is currently home to Evamere, East Woods, and McDowell Elementary Schools, and the four practice fields sitting directly behind. The two photos on either side should be familiar to most Hudsonites. This was once the Gatehouse to the Evamere Estate, and it remains the most prominent clue to the property’s past grandeur. Pictures of the actual mansion and estate are coming up next. Stay tuned!